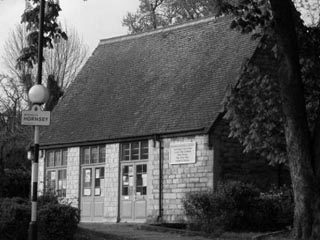 The Hornsey Historical Society shop is at the Old Schoolhouse, 136 Tottenham Lane, Hornsey, London N8 7EL. You will find details of many of the things we sell in the pages below. The shop is open Thursdays and Fridays from 10.00am to 2.00pm, and Saturdays from 10.30am to 2.30pm and is staffed by volunteers. If you are coming a long way we suggest you phone (020 8348 8429) before you come to ensure someone is here. The address, map and travel directions can be found on the contact page. If you are unable to visit in person, there are details of how to order by post.